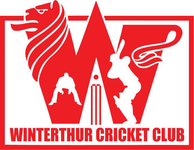 On Sunday 19th April Winterthur play their second 2015 pre-season friendly in two weeks. WCC take on last season's 40 over league & Pickwick Twenty20 double winners, Nomads Cricket Club at Deutweg starting 12pm. Players are requested to bring their own lunch, while the club will supply refreshments.